At Hidden Springs Senior Living, individualized care is what makes us different from other retirement communities. The Hidden Springs Senior Living dining department offers a variety of menu items for the residents. Physician ordered diets are followed and supervised by a Registered Dietitian. Hidden Springs Senior Living offers regular, heart healthy, low sodium, and diabetic diets. 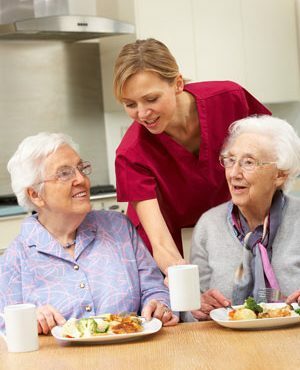 Additionally, the dinning department of Hidden Springs Senior Living places emphasis on residents’ likes and dislikes in an effort to provide nutritional well being. The dining department of Hidden Springs Senior Living promotes a Farm-to-Table initiative by using fresh vegetables and fruits to prepare homemade and made from scratch dishes. Residents and staff share recipes from home to help the dining staff offer dishes that the residents enjoy.